Just before Christmas, I shared a few highlights from my Month at the Museum application and I’m extremely grateful for all of the help and support I received during the process. Even though I didn’t win, I firmly believe that everything happens for a reason. My month NOT at the museum was filled with travel, challenges, and a couple firsts. Here are some of the things I’m glad I didn’t miss. A couple months back I mentioned my crazy travel schedule for work and the craziness never would have happened if I was locked in the museum. Instead, I hopped on flights to Charlotte, LA, Portland, San Francisco, Miami, and Milwaukee… Okay it was the Amtrak to Milwaukee but Chicago’s Union Station is just as crazy as O’Hare. From avoiding rush hour on the 405 in California to cruising Ocean Drive in Miami, I’m thankful these back to back trips are happening now, because I think it would be tough to do this with a family. This year’s wedding season was nothing less than phenomenal. Every month from August through November, I had a chance to watch a two people tell the world how much they love each other. 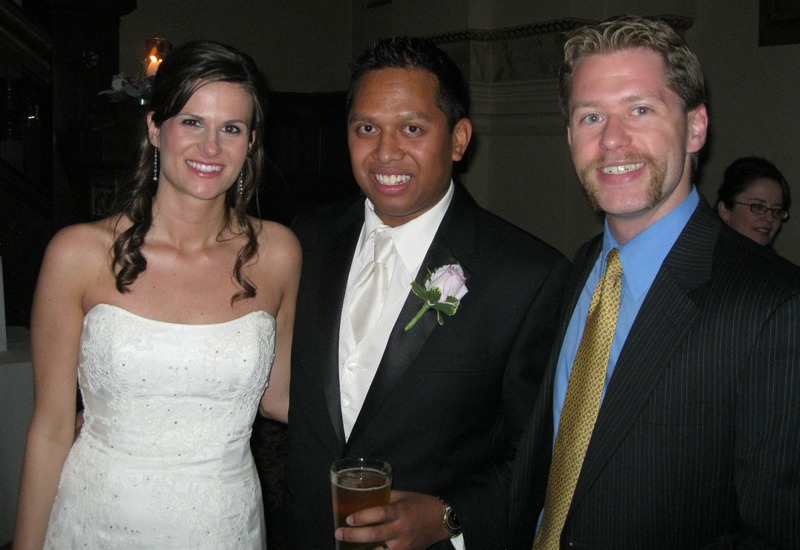 The final wedding was in November and if I would have won MATM, I would have missed my friends Aaron and Heather tie “the knot.” I’m sure they would have understood my absence but I would have regretted it for years to come. Many congratulations to my married friends and to my cousin Melissa who was proposed to during this year’s wedding season. I’m a huge advocate for experiences over tangible items. Yes, my memories will fade over time, but hopefully my computer hard drive or one of my two external hard drives will help the memories stay fresh. My alma mater, Saint Louis University, is responsible for the first forward pass recorded in American football history, but our football program was discontinued in 1949 and I never attended an NCAA football game during college. 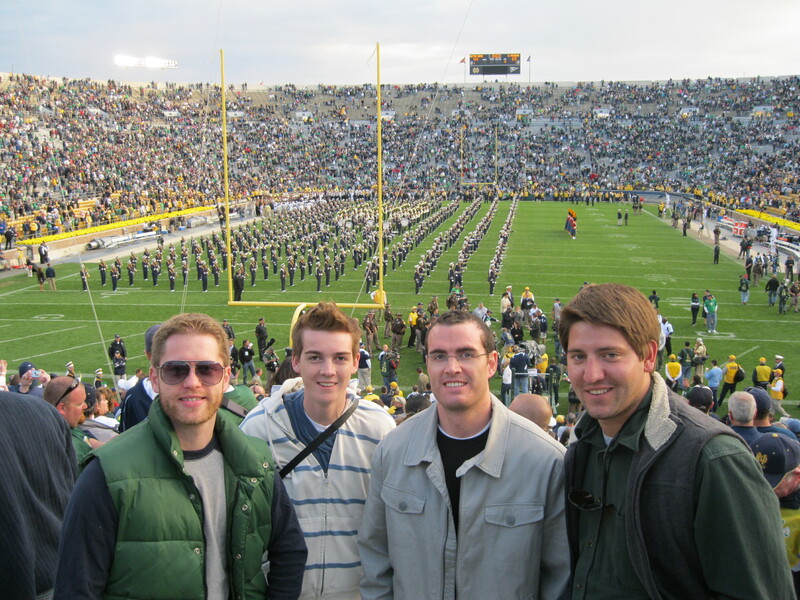 However, when I could have been packing my bag for MATM, I was taking in a Notre Dame football game with my buddies. Experiencing a Notre Dame win was great but the cherry on top of this experience is that the movie Rudy was the first sports movie I remember seeing. Another awesome first, and hopefully not last, was driving a Lamborghini Gallardo Spyder! I’m a steadfast supporter of Jeeps but the Lamboghini was amazing! It was the smoothest ride I’ve ever driven and 520 horsepower engine was delightful. My colleague Mark and I rented it for a video shoot in Miami and commented throughout the day how surreal it was to be driving on A1A and Ocean Drive in a car worth about $220,000. We specifically requested this obnoxiously bright orange color. I’m glad everything happens for a reason. Applying for MATM pushed me to try something new but the rejection letter was a blessing in disguise. I hope your next “rejection letter” is also a blessing in disguise. *If you open your football history books, you’ll learn that the first forward pass ever recorded in American football history was attempted by SLU. The first pass attempt was incomplete but the second attempt resulted in a 20-yard gain. GO Billikens!